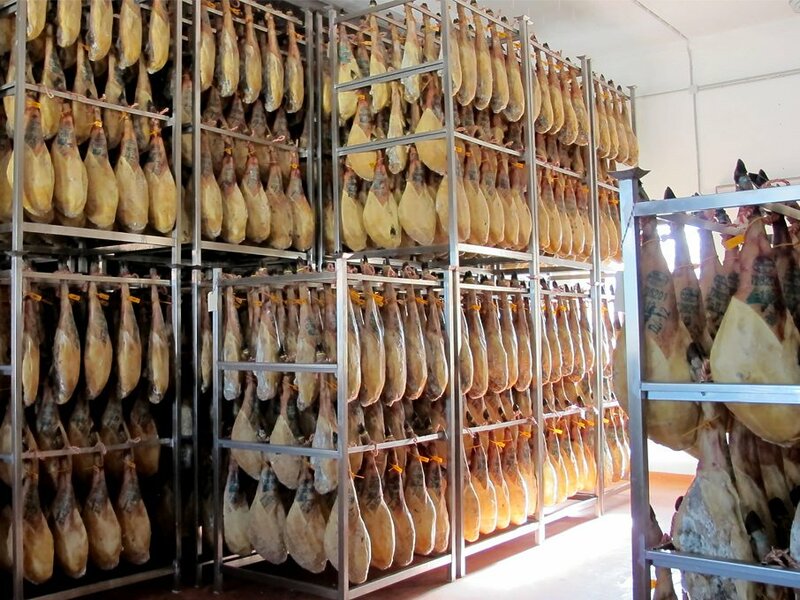 Carrasco are one of the most traditional Jamon houses currently in operation, still relying on the seasonal winds rolling off the Sierra de Gredos to dry their hams – decades after the majority of producers switched to air conditioners. 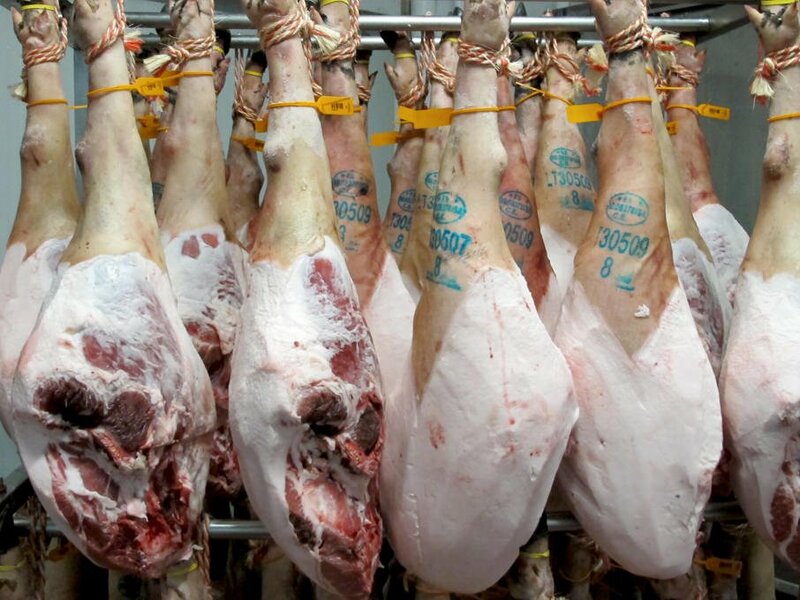 They’re also exceptional in the extent to which they control production, from farming the huge black Iberico pigs right through to the packaging of the final product. Each step is managed in-house, and done slowly, methodically and traditionally. 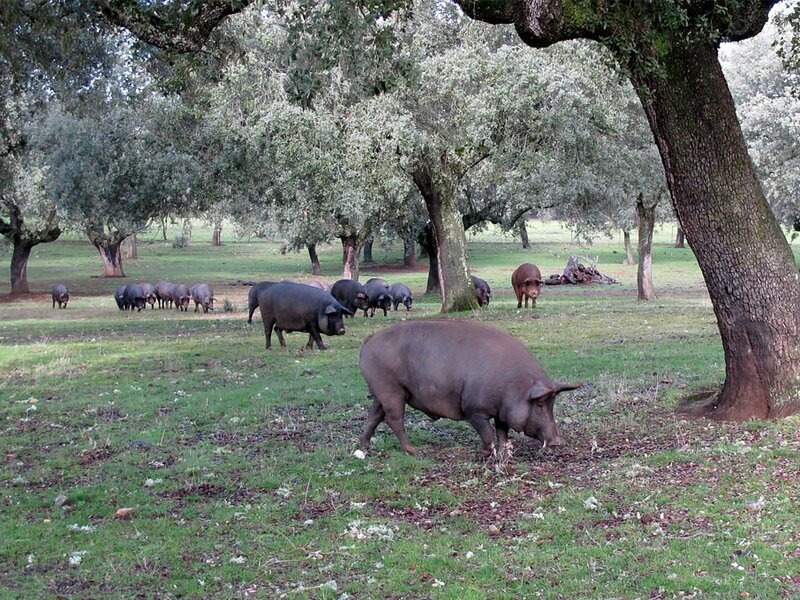 The uniquely marbled Ibericos, which have much closer links to local wild boars than they do domestic white pigs, roam free range and feast on acorns that litter the ground across the Carrasco dehesa. The pigs are kept to at least three years of age before slaughter, a full year older than the typical age for Iberico Jamon. 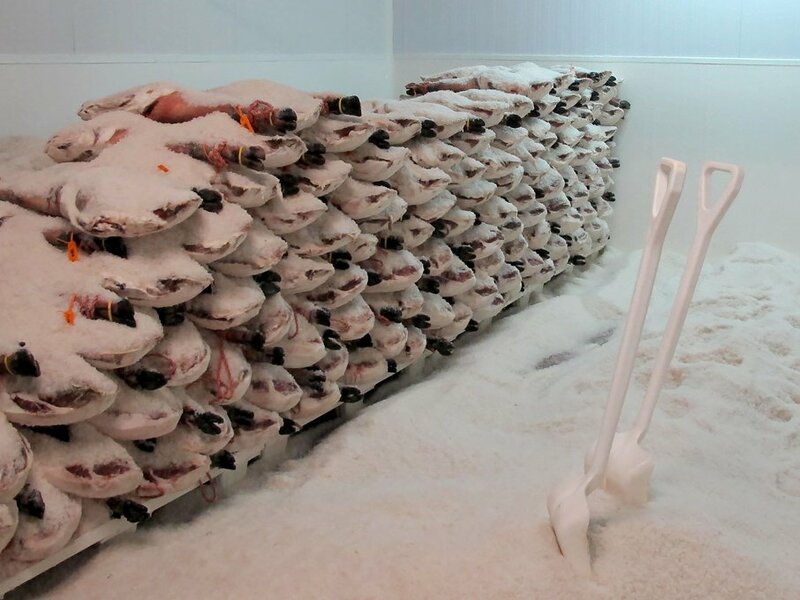 The result is one of the richest, most intensely flavoured hams produced anywhere in the world. Guijuelo is a small town in Salamanca that was granted Denomination of Origin status in 1986 for the production Jamon. To the east of the town are the impressive Sierra de Gredos, which provide a constant source of cooling winds. 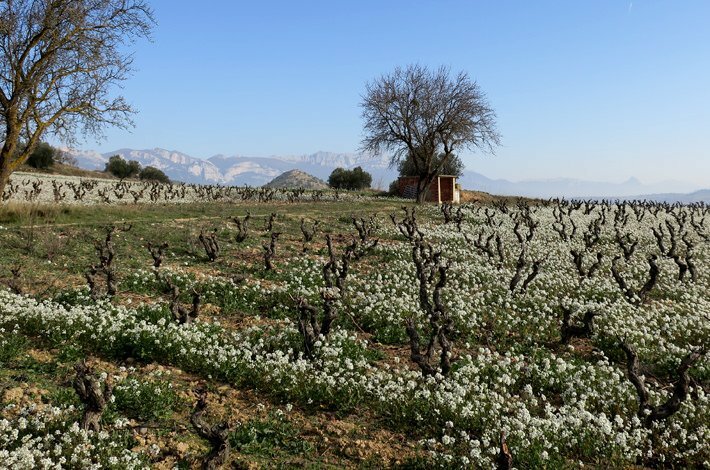 The winds create ideal conditions for the natural ageing of hams from native black Spanish pigs, while the rolling landscape around Guijuelo offers ample space for dehesas full of oak trees, where the pigs roam freely and gorge on acorns. The unique Jamon produced here is some of the world’s most highly prized.